Menu path: Data Management > Type administration. This page allows you to manage type data (Activity type, Project type, etc.). Menu path: Data Management > Type administration > Activity Type List. You need to have at least one Activity Type. Please refer to the Glossary for further explanation. See the menu above. Step1: Enter keyword to search for. Step2: Click the “Search” button. Step 1: Click “Add New”. Step 2: Enter the necessary information and click the OK button. Step 1: Click on the activity type that you wish to update. Step 2: Update the necessary information and click the “OK” button. Menu path: Data Management > Type administration > Project Type List. You need to have at least one Project Type. Please refer to the Glossary for further explanation. See the menu above. Step 1: Enter keyword to search for. Step 2: Click the “Search” button. Step 2: Enter the necessary information and click the “OK” button to save. Step 1: Click on the project type that you wish to update. Step 2: Enter the necessary information and click “OK” to update. Menu path: Data Management > Type administration > Communication Details Type List. Step 1: Input key word to search. Step 2: Enter necessary information and click the OK button. Step 1: Click on the communication type that you wish to update. Step 2: Enter the necessary information and click the “OK” button. Menu path: Data Management > Type administration > Contact Type List. Step 1: Click on the contact type that you wish to update. Step 2: Enter the necessary information and click the “OK” button to update. 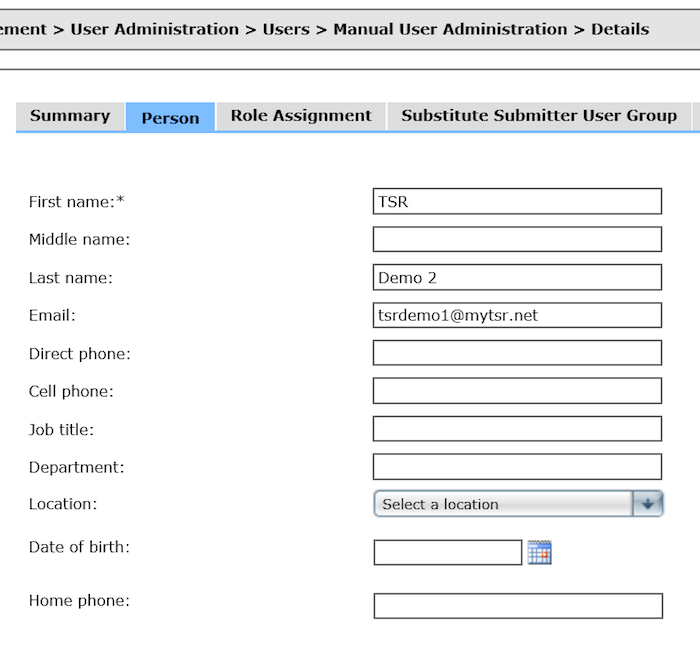 You can add extra information fields to your users’ profiles by creating user details types. You can also choose to include these fields when exporting time entries with DataBridge.